From installing to upgrading your system, our FreePBX experts can assist with your technical needs through our comprehensive support packages. Turn your FreePBX install into a robust Unified Communications system with FreePBX commercial modules and add-ons. Using FreePBX Distro? Your system is already configured to work with these modules! Let us manage your PBX server, so you can focus on your business. 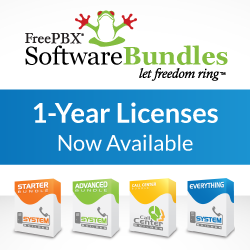 Hosted FreePBX maintains your PBX in the cloud - giving businesses of all sizes true freedom. With over 1 MILLION production systems worldwide and 20,000 new systems installed monthly, the FreePBX community continues to out-perform the industry's commercial efforts. The FreePBX EcoSystem has developed over the past decade to be the most widely deployed open source PBX platform in use across the world. The openness of the project allows users, resellers, enthusiasts and Partners to utilize the FreePBX EcoSystem to build robust communications solutions that are powerful but at the same time easy to implement and support. 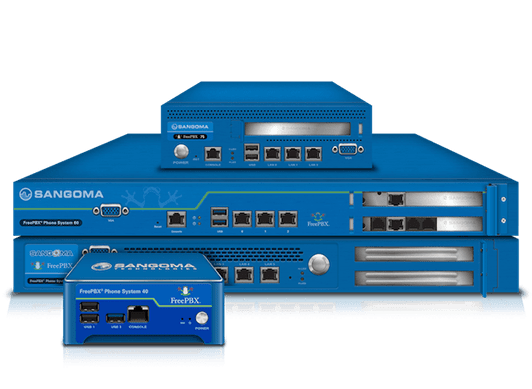 Sangoma is proud to be the sponsor of FreePBX project. If you are new to FreePBX you can get started quickly by downloading and installing the FreePBX Distro. The FreePBX Distro is an all in one platform that installs everything you need to build a phone system. Once You have a basic PBX in place you can add commercial modules to add advanced features to an already feature rich base install of FreePBX. As an open source GPL, web-based PBX solution, FreePBX is easy to customize and adapt to your changing needs. FreePBX can run in the cloud or on-site, and is currently being used to manage communications of all sizes and types of environments from small one person SOHO (Small Home, Small Office) businesses, to multi-location corporations and call centers. 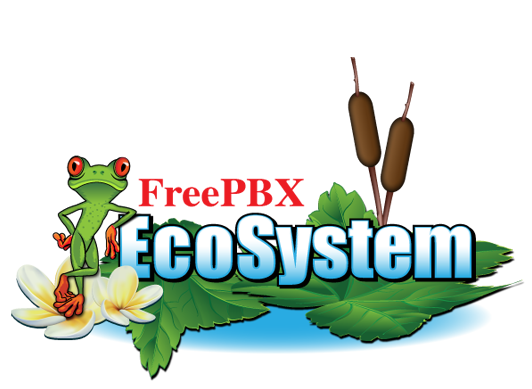 The FreePBX ecosystem provides you with the freedom and flexibility to custom design business communications around your needs. The FreePBX appliance is a purpose built, high performance PBX solution. Designed and rigorously tested for optimal performance this is the only officially supported hardware solution for FreePBX. The appliance comes pre-loaded with the FreePBX Distro and includes 60 FreePBX support credits!